Improving existing solutions with cutting-edge technologies and modern methods to match the current regulations. Gruppo Millepiani is the most appreciated Italian operators in the analysis, adjustment and improvement of all elevators: through the advice of our expert technicians, any existing lift can be repositioned with cutting-edge technologies, and updates in line with current regulations. A qualified and accurate intervention, which will allow the proper alignment of your elevator at the best contemporary standards. Modernize the elevator means to ensure that an increased value and prestige, and secure themselves and to all users of the elevator a greater protection and safety. Elevator modernization means to recover the original investment value, and replace it in full compliance with regulations. An intervention that will be decisive to upgrade the technical characteristics of the lift to the best current practices, which will avoid administrative penalties and unpleasant consequences. Recover an elevator, modernizing and integrating it with the best innovative technologies, it may be the best solution to optimize investments, and avoid having to intervene on the entire technological device. Gruppo Millepiani consultants are willing to consider any intervention of elevator modernization, allowing you to find how simple and effective is to renew your old elevator. 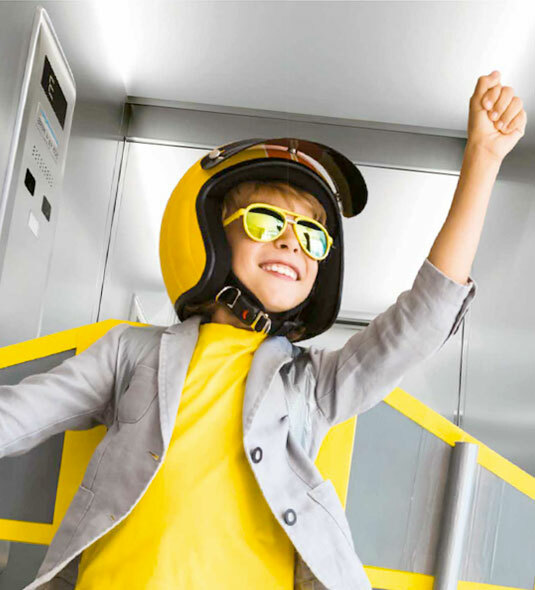 The modernization intervention of an elevator allows the building’s owners to choose which personalization to make in the lift, making it more and more integrated into a context. A technical review – aesthetics that enhance the investment value over time. To know more about the activities of lift modernization by Gruppo Millepiani, we suggest you contact our consultants at the addresses listed here. The technical staff of our team will be happy to share with you all the possible solutions in order to give a new life to your old lift!